The original driving experience with over 60 supercars, 150 employees, 2 race tracks and over 260,000 happy clients in 5 years. 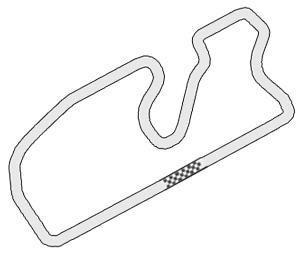 at our two exclusive racetracks. 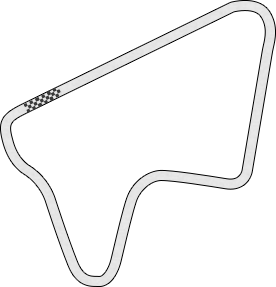 Exotics Racing racetrack was specifically designed for supercars, with a variety of turns, safety features, and the fastest straight away in Las Vegas. 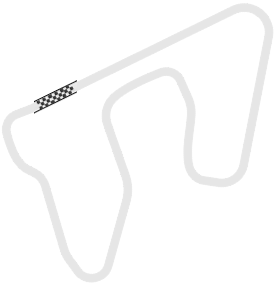 Our Californian racetrack - designed by professional racing driver, provides the fastest and the safest driving experience in Los Angeles. 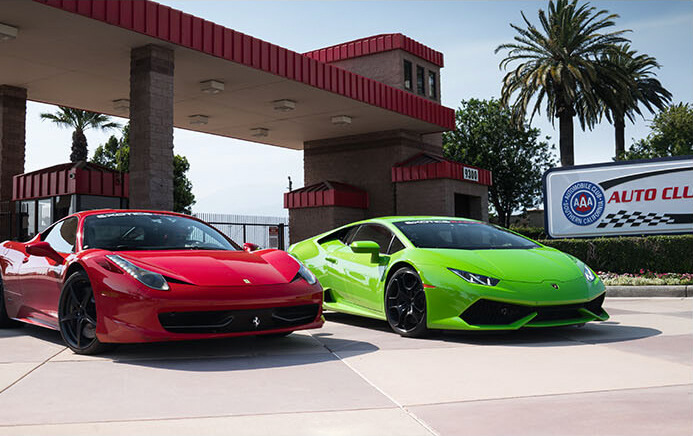 Exotics Racing is the Original Driving Experience in Las Vegas and Los Angeles and its Racing School has the world’s largest fleet of exotic cars. 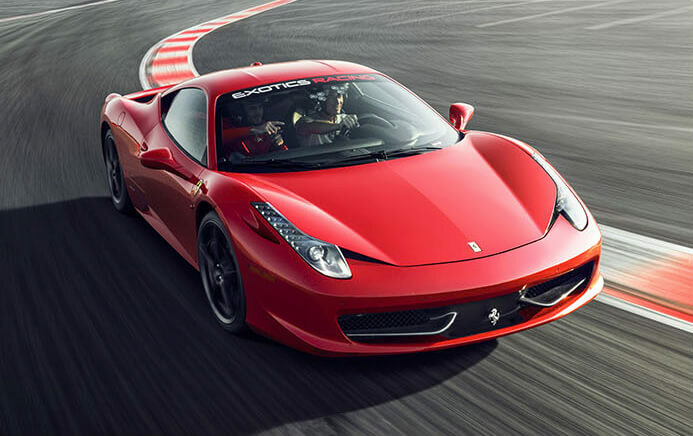 If you want to drive a supercar on a racetrack and get the real full experience, Exotics Racing will provide you the truest and the most thrilling drive on track. 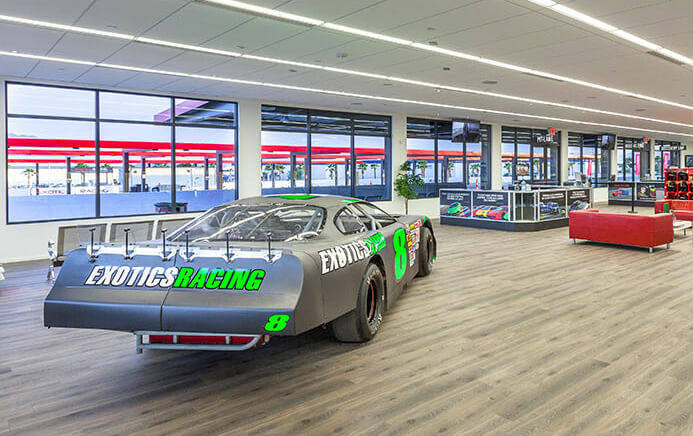 Pioneer in the industry and created in 2009, Exotics Racing was the first place of its kind in the US and has hosted more than 260,000 satisfied drivers. From Ferrari to Lamborghini, Exotics Racing has an incredible collection with a $12,000,000 value for more than 50 outstanding supercars available for clients.  Created by professional racing drivers, Exotics Racing has the best racing instructors who deliver professional one-on-one coaching on track like nowhere else in the world. 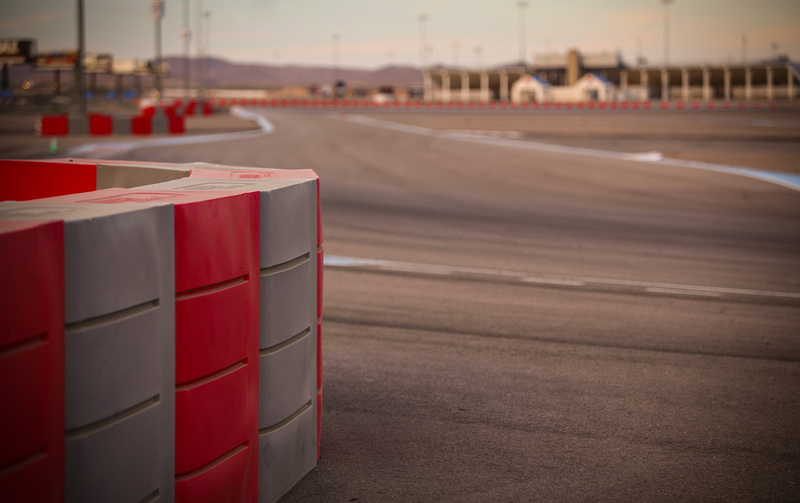 Located at two world famous racetracks, Exotics Racing has exclusive state of the art racetracks and driving centers at the Las Vegas Motor Speedway and at Auto-Club Speedway. For car enthusiasts who want more, Exotics Racing is proud to offer a Racing Series, Racing School, and Safety Driver Programs. 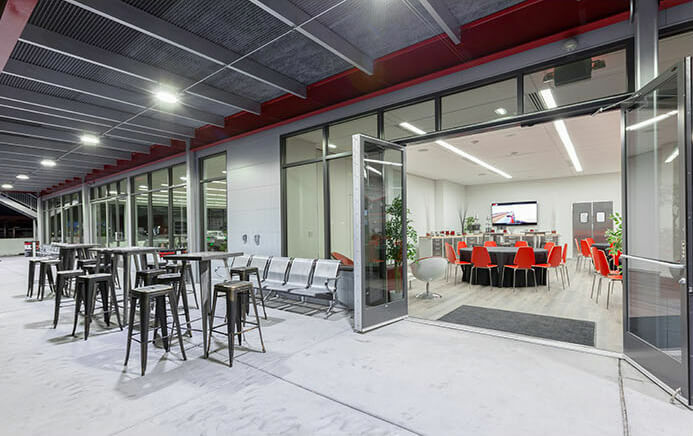 Our NEW Driving Center is the best place to enjoy your off-track experience with your guests. With $50,000,000 facilities Exotics Racing is the supercar place to be. 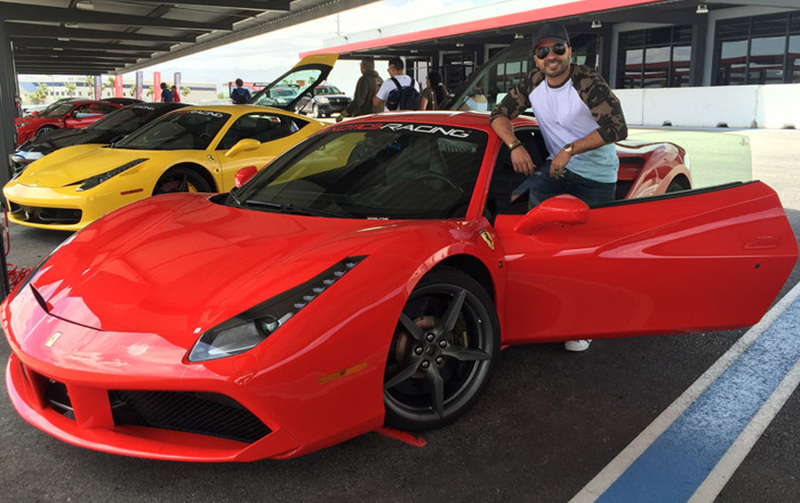 There is a reason why celebrities such as Luis Fonsi, Caitlyn Jenner, Lebron James, Michelle Rodriguez, Mario Andretti, and Kyle Bush chose Exotics Racing to drive supercars on track. 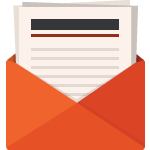 Exotics Racing hosts more than 2,000 corporate events per year for international companies such as HP, Intel, Netflix, Google, NASCAR, Chase, Nike, and Bridgestone. A shared passion for cars brought together Exotics Racing co-founders Romain Thievin, a racing driver, and David Perisset, an investment banker. 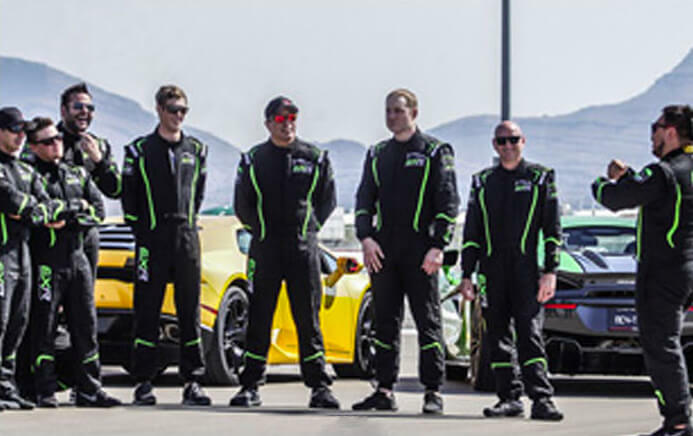 In 2009, they opened Exotics Racing in Las Vegas with five vehicles and a handful of employees, and they have since grown it into the premiere supercar driving experience. 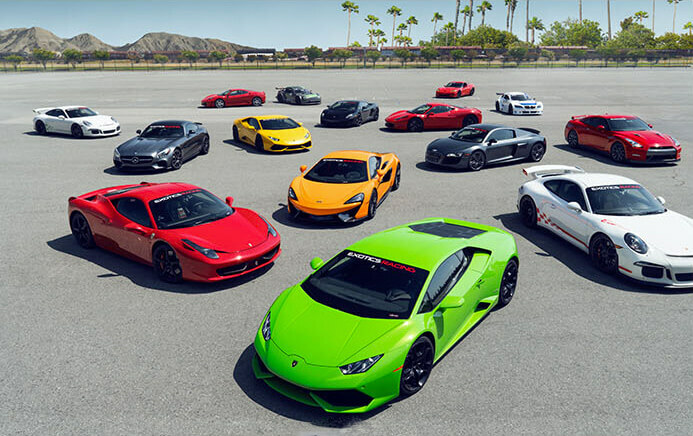 Exotics Racing now has a fleet of more than 60 supercars at purpose-built racetracks in Las Vegas and Los Angeles, with more than 150 employees who deliver the dream to 45,000 customers per year. Romain Thievin has parlayed a lifelong love for cars into a diverse motoring career. 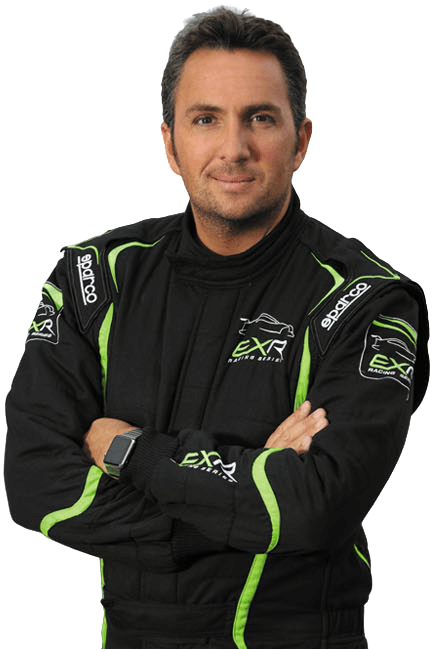 A professional racing driver with five French titles, Thievin has worked as a stunt performer in over 150 television and film productions, including a star turn behind the wheel of the memorable red mini in The Bourne Identity. He also found acclaim as a television host of the popular French program Fast Club. Thievin partnered with David Perisset in 2009 to start Exotics Racing, and together they have grown it into the premiere exotics driving experience. Originally from Fontainebleau, France, he now lives in Las Vegas with his fiancée, former Miss France, and toddler son. An investment banker by trade, David Perisset built a successful career at Rothschild Bank and Lehman Brothers, while also working as a motorsport business manager. 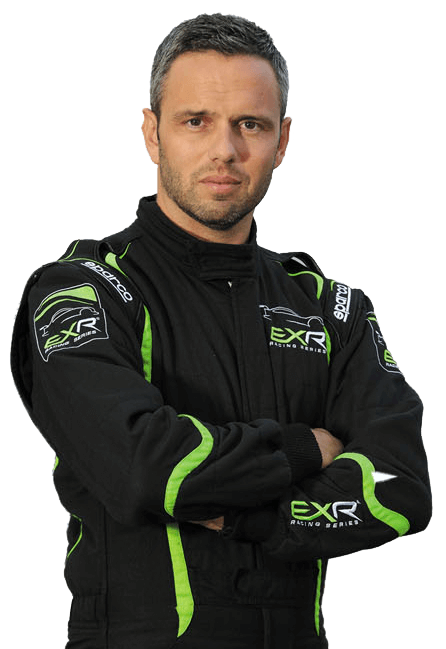 A graduate of Paris Dauphine University and ESSEC Business School, he partnered with Romain Thievin six years ago to create Exotics Racing, which now offers the chance to drive the car of their dreams to more than 45,000 customers per year. He started racing himself in 2012, competing as a gentleman driver alongside Thievin in the Euro NASCAR Touring Series. The Paris native now lives in Las Vegas with his wife and infant son.